Gemma and Addison are high school juniors, best friends, and majorettes in the marching band. Max and Carter are best friends too, and they’re starters for the football team. When Max and Carter start flirting with Gemma and Addison after football practice, the girls can’t believe their luck. But which guy wants which girl? 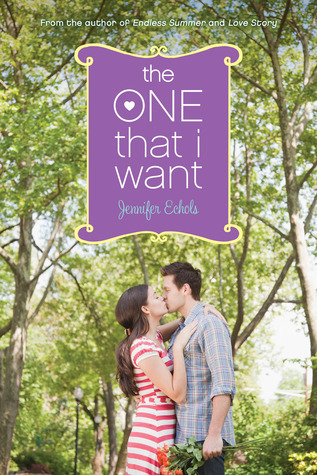 I will read ANYTHING by Jennifer Echols, so of course I am super-duper pumped to get my hands on this ebook! I love her contemp dramas just as much as her rom-coms... in fact Endless Summer is one of my all-time fave YAs, which just so happens to match the cover of this new book ;-) Whether it's serious or comical, this lady knows how to write swoon-worthy scenes that make you weak in the knees. I bet this story will leave us fanning ourselves, just as well. I've never read this author thought, and this sounds like a good place to start. The cover is too cute to resist! Oh my, this looks good! And a Marching Band book, haven't read one so YAY for that (was in the HS band). Also have Endless Summer/Boys Next Door (SIGNED! EEP!) so can't wait to read that. I agree! Jennifer Echols is such a good author; I loved Endless Summer! I had no idea this was coming out, so thanks for sharing! Great pick! I WANT THIS ONE, TOOOOOOOOOO!!!! I'm kind of sad it's only in ebook form. I mean, what if I want to shelf it with my other Jen Echols treasures? :-P AWESOME pick! I haven't read anything by Jennifer yet but I"ve heard she's great. I need to get on that! Looks like a good book! Wow, third times a charm!! I luff luff LUFF Jennifer Echols and totes agree that the boys next door/endless summer was omg soooooo smexy and good!! I literally am buzzing with exctiement for this one!!! ahhhh YAY I DIDN'T EVEN KNOW ABOUT THIS ONE! Adding this to the wish list RIGHT NOW. This sounds amazing and I am right there with you on reading anything Jennifer Echols ever writes. I have heard good things about Jennifer. The cover page looks good too but doesn't the guy on the page look a lot older than a high school junior?? hehe... Sorry...can't help observing! Have a fun read! I can't wait to read this one, I too adore Jennifer Echols! Aww, this one looks so cute! I haven't read anything by this author before so perhaps I need to give her a try! Gah, I love JE and her swoony characters too! And! Her wonderful TENSION-FILLED writing! Pretty cover. I've read Love Story and loved, she's a great author.